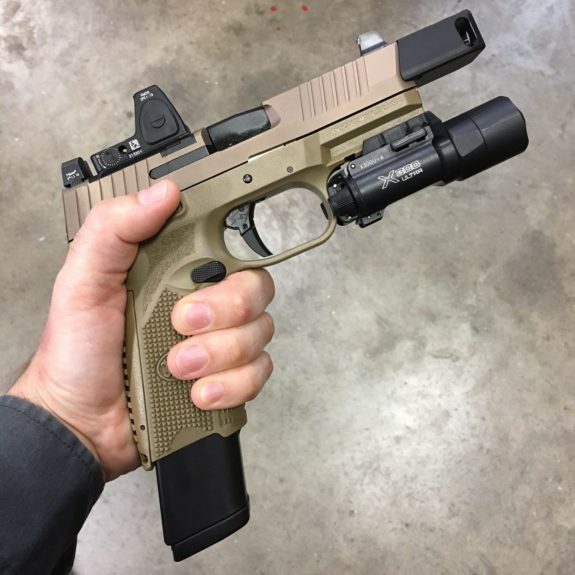 The new FN 509 Tactical Compensator from Henry Holsters is designed specifically for the 509 Tactical, matching with the contours of the slide for an sleek, low-profile fit. It features two top and side ports (one on each side). This 6061 aluminum comp is hard anodized for durability and is secured to the barrel via 1/2 x 28 threads with 2 set screws.